Netflix is now free to create a U.S. Facebook app that shares users’ viewing history if they opt in, after the company successfully lobbied Congress to amend a 1988 law. A Netflix spokesman said the company “will launch social features in the U.S.” sometime in 2013. The law in question, called the Video Privacy Protection Act (VPPA), previously prohibited “a video tape service provider” from revealing customer information without the customer’s written consent. More than two decades later, the vague pre-Internet language left open questions: Does Netflix count as “a video tape service provider”? Can written consent be obtained via the Internet? Those questions are now resolved, thanks to a VPPA amendment passed by Congress in December and signed into law by President Obama on Thursday. Netflix and other companies may share users’ video-streaming history on sites likeFacebook (FB) if users opt in online. Users can choose on a case-by-case basis whether to share certain activity, and they can opt out at any time. It’s a coup for Netflix, which has worked hard to convince lawmakers to change VPPA. The law arose from strange circumstances surrounding the failed Supreme Court nomination of Robert Bork (who died last month at age 85). While Bork’s nomination hearings were taking place in 1987, a freelance writer for the Washington City Paper talked a video store clerk into giving him Bork’s rental history. The writer, Michael Dolan, later wrote that he was proving a point: “Bork said, Americans enjoy only those privacy protections conferred by legislation.” Bork’s rentals were unremarkable, but the City Paper published the list anyway. Lawmakers freaked, and Congress passed VPPA soon after. With prodding from Netflix’s lobbyists, most legislators agreed the law didn’t work in the present day. Still, they tussled for more than a year over the best way to amend the law. The House of Representatives passed an amendment in December 2011, but the proposed method of consent met resistance with Senate Democrats. They felt the usual “click here to give us all your data” disclosure that most apps use wouldn’t go far enough. “A one-time check off that has the effect of an all-time surrender of privacy does not seem to me the best course for consumers,” Sen. Patrick Leahy, a Democrat from Vermont, said at a hearing about that House amendment in January 2012. 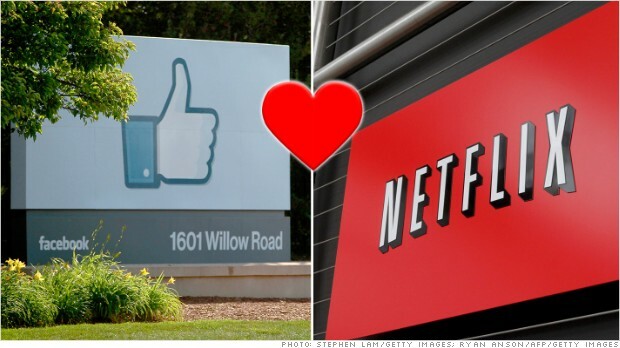 Now the road is clear for a Facebook app for U.S. Netflix users. The company is surely relishing the change, but the VPPA has caused it other headaches, too. Last year, the company disclosed that it paid $9 million to settle a lawsuit from customers who alleged that Netflix didn’t delete their personal account data after one year — another provision of VPPA.